The FOX-IQ in-line analyzer provides customizable, continuous measurements of titanium (Ti) to uranium (U) on any surface. 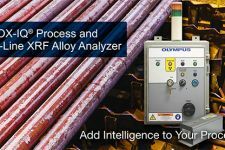 Designed to operate 24/7, the FOX-IQ XRF system performs fully automated in-line analysis for 100% high-volume process control. X-ray fluorescence (XRF) is a proven technique used to quickly and nondestructively verify alloy grade and chemistry. The FOX-IQ system is compact and has minimal power requirements, making it easy to integrate with new or existing PLC-controlled processes. The system is engineered to endure high levels of vibration, electromagnetic and acoustical noise, dust, and moisture. Each FOX-IQ system delivers pass/fail results, accurate grade identifications, and material chemistry. It can be controlled by a PC or integrated with a PLC for automated start/stop, data acquisition, decision-making, and communication to external devices. 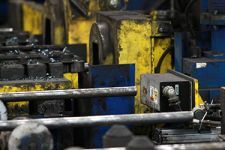 The FOX-IQ system can be configured for fully automated alloy testing with data logging and alerts. The FOX-IQ® system is driven by powerful and intuitive software developed specifically for the tube/pipe industry. Features include multilevel access, pass/fail and chemistry analysis, and extensive reporting. The PHA contains the X-ray tube, detector, and front-end digital signal processing electronics. The unit can be precalibrated, and its modular design makes it easy to swap out. This assembly supports an external sample trigger input and provides a pass/fail indicator signal that can be used to trigger a “kicker” or other line equipment, such as a PLC, to accept or reject the sample based on the analysis result. The computer runs the PC software that controls the instrument, analyzes the sample, manages the results, and interfaces with customer systems through RS232 or TCP/IP. Silicon drift detector; <165 eV resolution at 5.95 keV Mn K-alpha line. Windows® XP or Windows 7 operating system. Measurement Head (L × W × H): 30.5 cm × 10 cm × 10.5 cm (12 in. × 4 in. × 4.125 in. ); Electrical Interface (L × W × H): 40.6 cm × 15.88 cm × 50.8 cm (16 in. x 6.25 in. x 20 in.). Probe Head Assembly to Electrical Interface: up to 30 m (100 ft); Standard Lengths: 15 m. Electrical Interface to PC: dependent on customer requirements. The user interface runs on a PC equipped with the Olympus PC software that controls the FOX-IQ; this software analyzes sample spectra, manages results, and interfaces with external devices through RS-485 or TCP/IP. There are dry contacts on all outputs and 24 V start/stop and interlock signals. Up to 12 fields of information per sample including Job #, Work Order, Part #, etc. Auto tracks alarms, pass/fails, and elemental results within a work order or run. Stores >100,000 tests, including results, sample ID, and spectral data, in a binary, tamper-proof format.